In Real Estate There Is No Substitute For Experience! Mary Crane is the recipient of a number of prestigious awards from the real estate community for her work excellence including the 2017, 2016, 2013 Century 21 International Grand Centurian, 2014, 2011, 2010 & 2009 Century 21 International Double Centurian, 2015, 2012 & 2008 Century 21 International Centurian, and 2007 Century 21 International Masters Diamond Winner. Mary is currently ranked in the top 1% internationally in the Century 21 System and was recently inducted into the Century 21 International Hall of Fame for her exceptional sales production over the past 5 years. A member of the National Association of Realtors, the Massachusetts Association of Realtors, and the Greater Boston Association of Realtors, Mary has served as the Chair of both the Greater Boston Association of Realtors Communications Committee and the Greater Boston Association of Realtors Community Service Committee. A graduate of Northeastern University with a BS in Journalism, Mary serves as a trustee of the Larabee Whiting Estate in Dover, Massachusetts and as a trustee of The Warner House in Portsmouth, New Hampshire. She has also served on the Dover Board of Health from 1993-2007 and on the Dover Open Space Committee from 1990-1996. 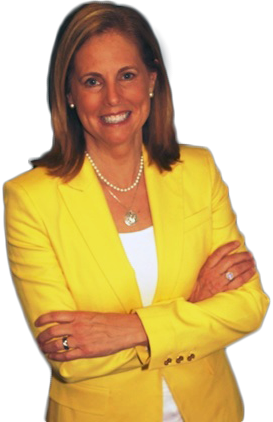 Currently she sits on the Advisory Board of the Needham Bank and the Newton Wellesley Hospital. A nationally ranked equestrian, Mary is a member of the Masters of Foxhounds Association, the Norfolk Hunt Club and served on the Fidelity Jumper Classic board. Mary is a skilled negotiator, great communicator and intent listener. As a full time Real Estate professional, Mary's goal is to provide the highest level of service for her clients and welcomes the opportunity to represent them in the sale or purchase of their home. Mary is licensed in Massachusetts and Rhode Island.